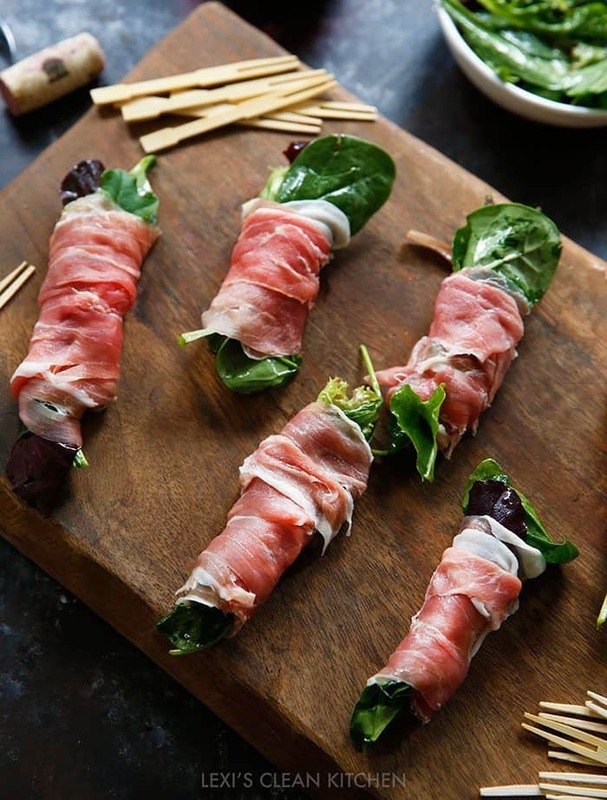 These salad rollups are a healthy holiday appetizer that are gluten-free, light, and require NO COOKING! Plus, they are easy to make and customizable! They are even wonderful as a lunch box snack. The holidays and New Years Eve are quickly approaching. I mean, how is it already mid-December, you guys? SCARY. The holiday spirit is strong, and we are surrounded by family and friends! What else could we ask for? Ahem… GOOD FOOD! Yes? Yes! 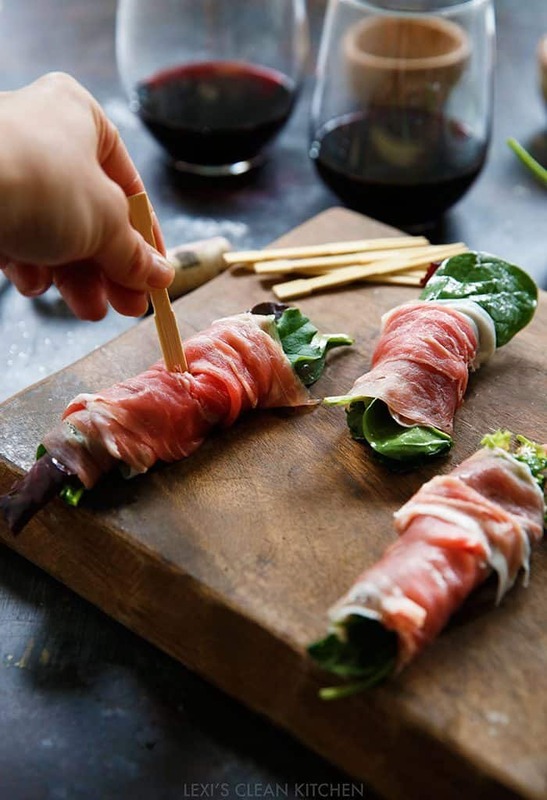 This means we need to get some appetizers ready for the holidays, NYE, or just a healthy *EASY* bite amid all the crazy shopping days and busy holiday times. Did I mention no cooking required? BOOM. In a bowl, whisk together dressing ingredients. Drizzle dressing over mixed greens and toss to combine. On a cutting board, gently place slices of prosciutto. 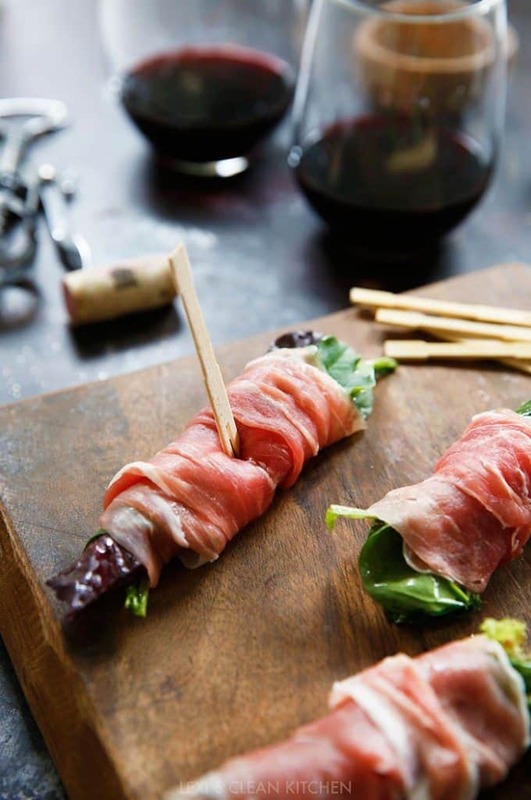 Place mixed greens and any add-ins on the bottom half of the prosciutto and roll them up. Put a toothpick through the center. Place on a plate and serve! Oh man these look delicious! I’ll be keeping the ingredients on hand for everyday lunches! Mmm..these look great! I like your take on this salad wrap. I can’t wait to try this out. I’m curious, can you find avocado oil at the grocery store? Yes, you can find it at most stores and at BJ’s too! You can also use olive oil!